The Document Upload template is a versatile lesson template that has many uses. It can be used as a way for learners to upload completed surveys, assignments, or evidence that they've completed an offline task. 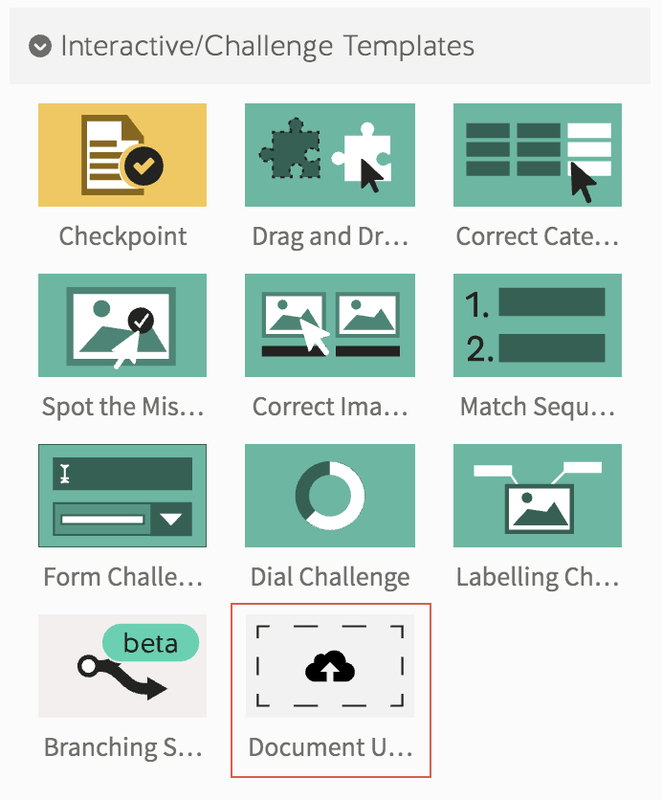 You can choose to provide a file for your learners to download, or have them upload their own. These documents can then be viewed by the course facilitators after drilling down into a course report where a link to the document will appear in the Lesson breakdown. The Document Upload Template is a great replacement for Assignments if they don't require grading, or if you don't want to break up your lesson flow by creating a new assignment module. You can find the Document Upload Template under the 'Interactive/Challenge' templates menu on the lesson outline screen. 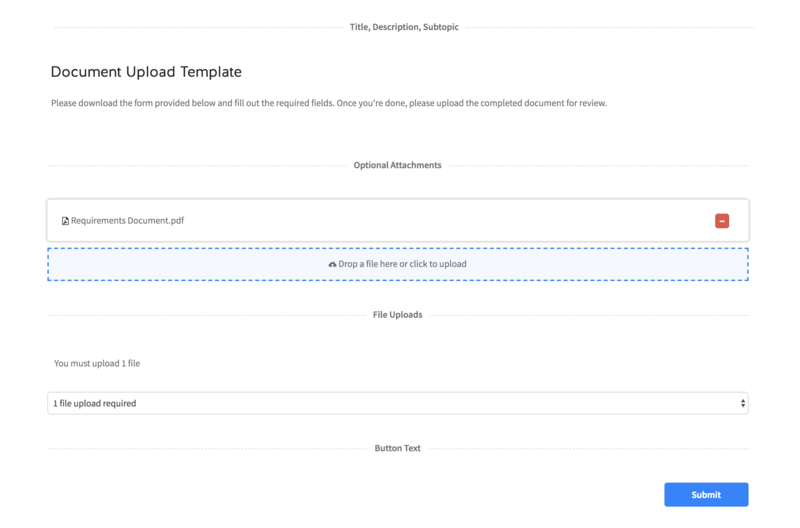 The Document Upload template is one of our new breed of templates that allows for inline editing, meaning that you can edit everything, including the title description, image, and button text from the on-screen editing page. As a lesson creator, I simply need to type a description and decide whether I want to supply a document for the learner to download and then re-upload, or to have the learner upload their own. Please note that you can only upload standard document types including; word, excel, pdfs, and powerpoint slides. 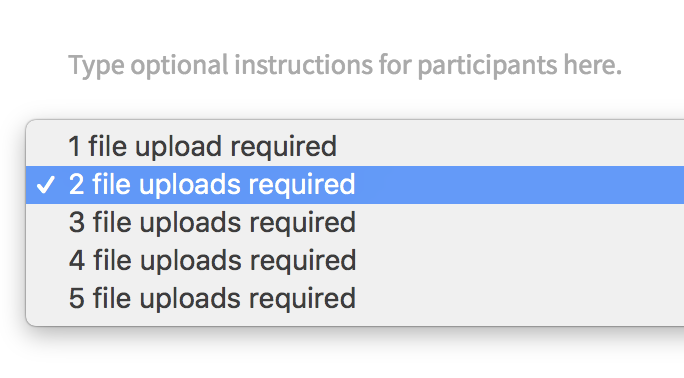 You can also provide instructions telling the user how many files they must upload to complete this screen and set it so the learner must upload up to 5 documents. From the learners' perspective, they are presented with a nearly identical layout as the creator. In the example below, the learner is asked to download a form the creator has supplied, fill the form out and upload the document. Once the learner has uploaded the required number of documents, they will be able to submit it. The learner may choose to replace the file at any time, and this will be reflected in what the facilitator views when they download the documents from the reports section of Coassemble. To access uploaded documents from learners, simply go to the courses report and drill down until you find the lesson in the course breakdown. From here, simply navigate to the document upload template screen and click the link to download the file.